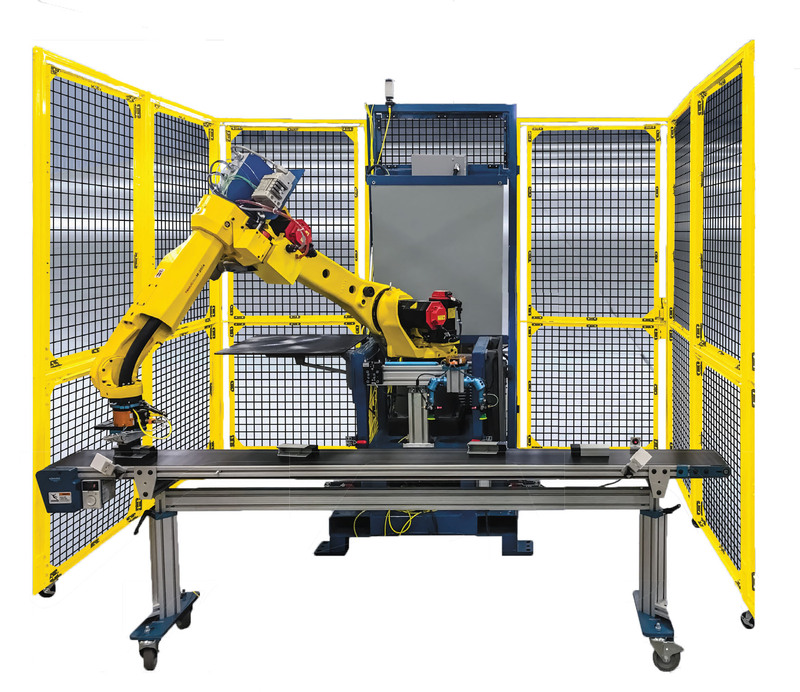 FANUC America has partnered with APT Manufacturing Solutions to deliver Robot and CNC Training Cells designed for Multi-Level Certifications. Using just one system, students can receive certifications in both CNC and Robotics. See your Machining program come to life, introduce your students to the skills they need for real-world manufacturing before they even step foot onto a factory floor. Take your training in advanced manufacturing to the next level with this robot to educate future industry employees. A feature-packed robot training cell for multi-level certifications. Integration provided by ATP Manufacturing Solutions, and FANUC. Teach modern manufacturing technology with a fully integrated and intelligent multi-level training cell. 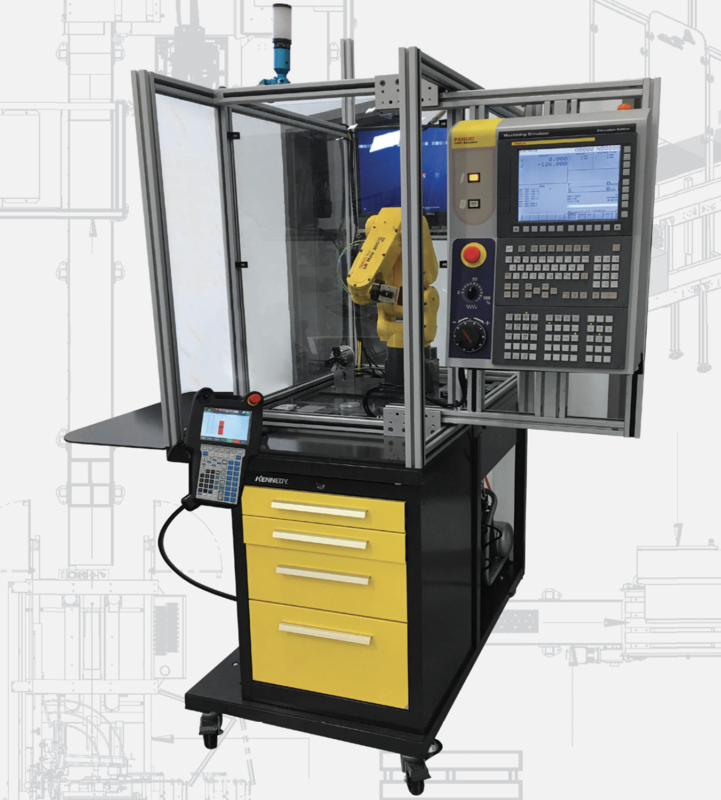 A multi-level training cell that includes a CNC vertical machining center and project-based mechatronics at each operation. Integration provided by ATP Manufacturing Solutions, and FANUC. Take your CNC Training to the Advanced Automation level with a Machine Tending Educational Cell with CNC Simulator. 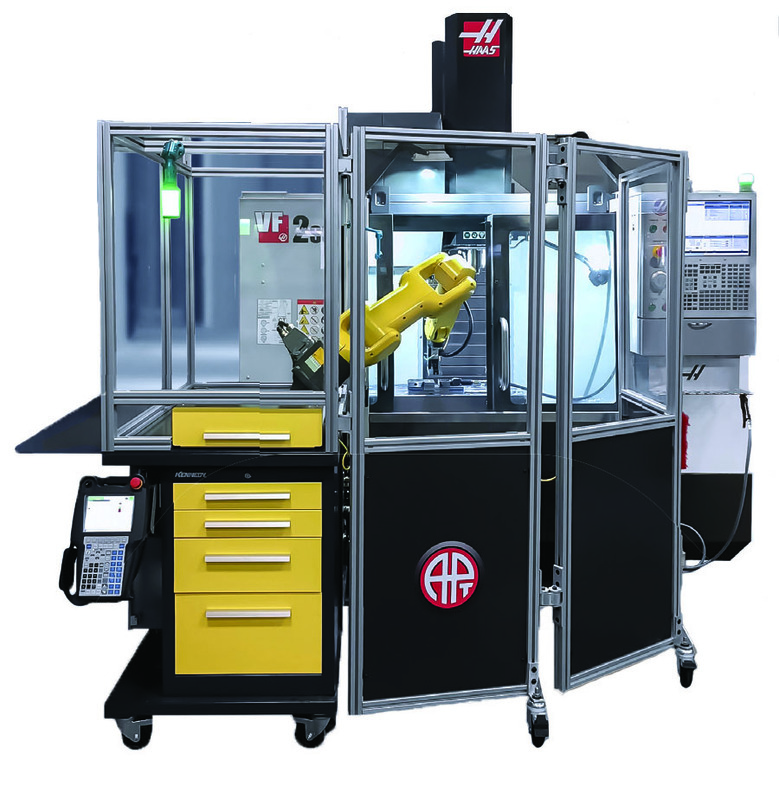 A feature-packed Robot and CNC training cell for multi-level certifications. Integration provided by ATP Manufacturing Solutions, HAAS and FANUC. 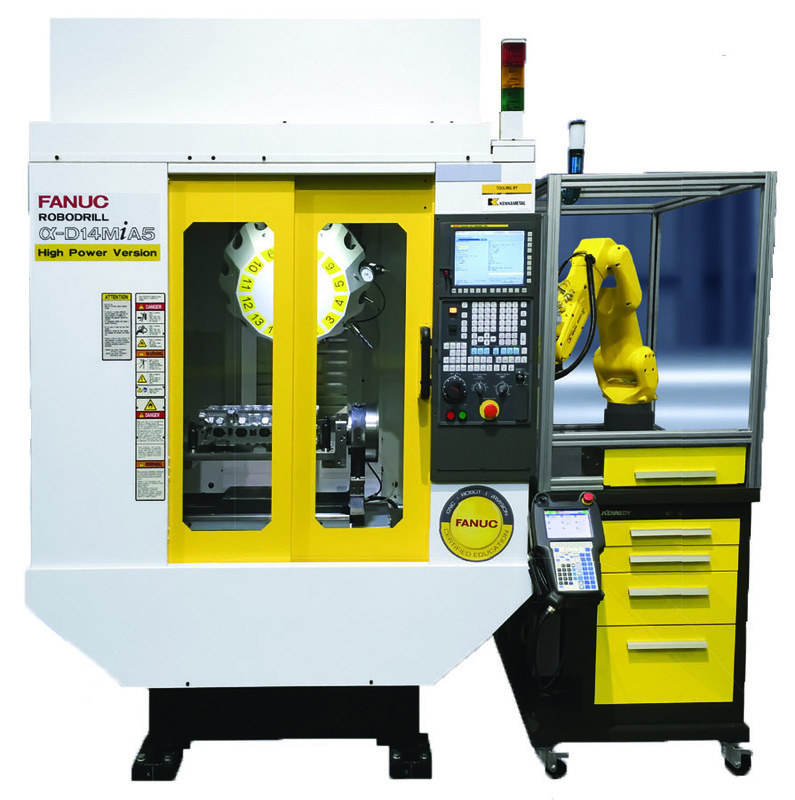 Minimize downtime with the Fanuc Robodrill and maximize productivity through the speed, precision, and power of the new and improved user interface. Ease of use allows for quick repairs, if necessary while preventive maintenance function detects issues before problems occur. Integration provided by ATP Manufacturing Solutions, and FANUC. Perfect for schools the Haas Mini Mill is a small-footprint machine that comes loaded with full-size features. Integration provided by ATP Manufacturing Solutions, HAAS and FANUC.